Everybody hates their boss with a passion. 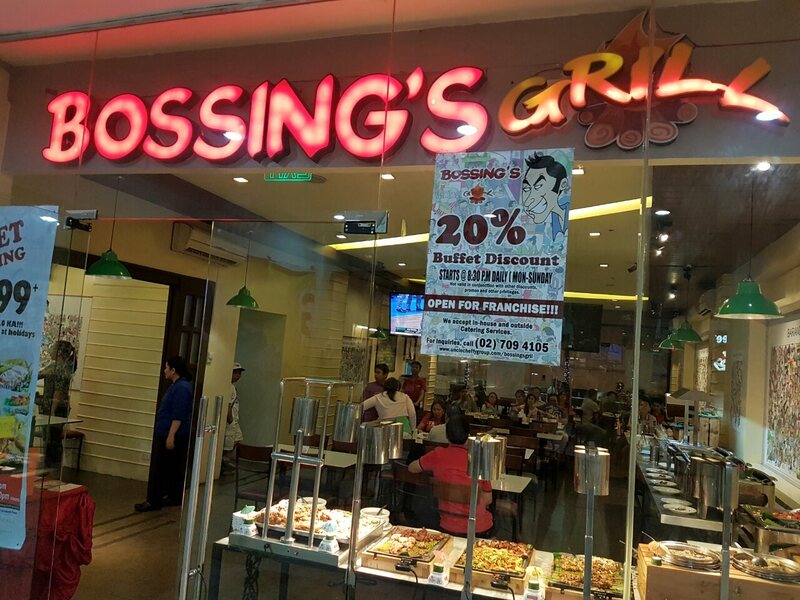 However, Bossing is one boss I love because he has good food over at Bossing's Grill. The best part about it is it is in the form of a budget buffet. 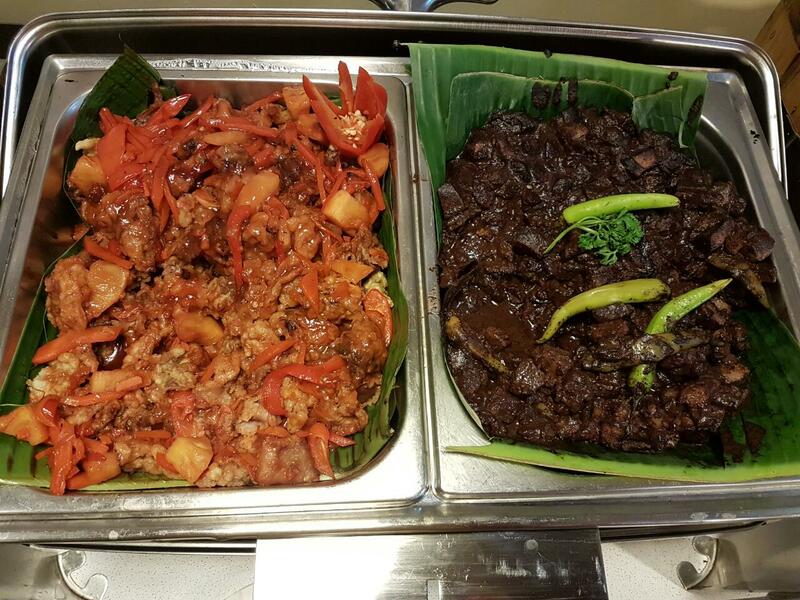 Despite the low price, there are a lot of popular Filipino food choices. 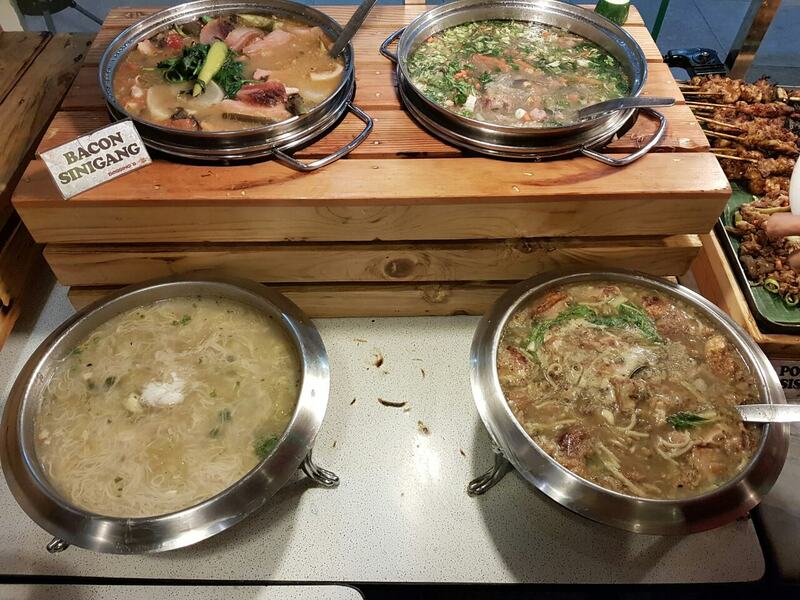 They have 4 soup choices and the best one is the Bacon Sinigang. It is definitely something innovative but as we all know anything with bacon is really good. 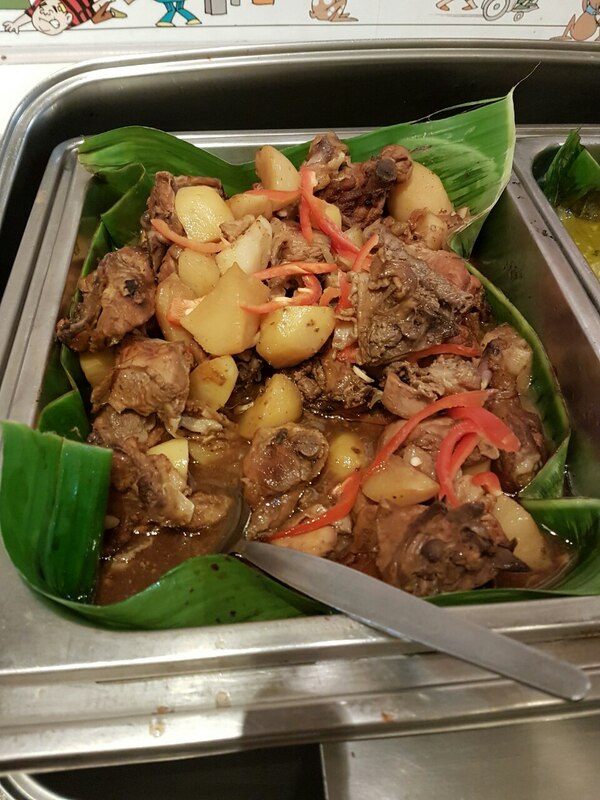 There are a lot of familiar Filipino food present in the buffet. If you love Filipino food then this is certainly heaven for you. 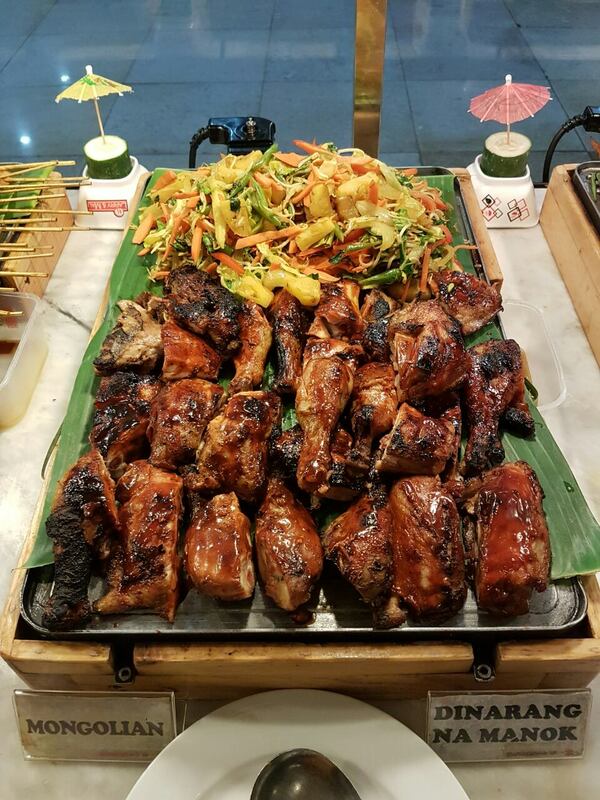 It is more of a meatfest since Filipinos are known for their love of meat. 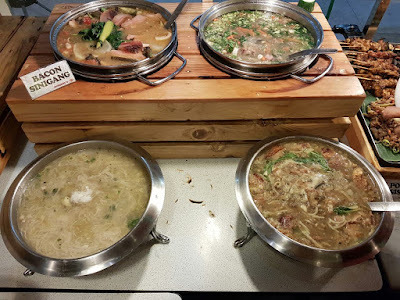 I had some of the Mongolian too as it let me satisfy my craving for vegetables. 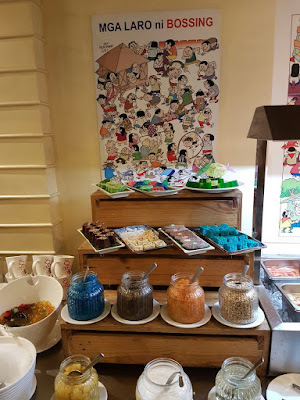 The buffet reminds me of lutong bahay type of food. 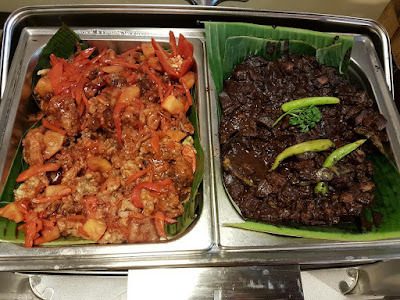 The buffet is so affordable that you would want to go here after playing sports. Drinks are included in the buffet as well. There are all things cripsy in this buffet including their big bagnet and the fried chicken. Both will make you wish could eat these forever. 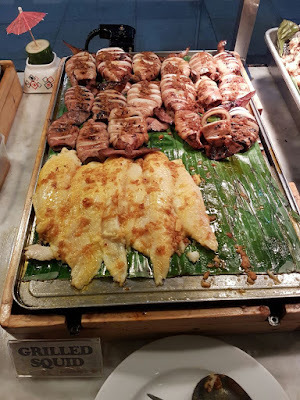 For those who like seafood, they have a lot of that as well. 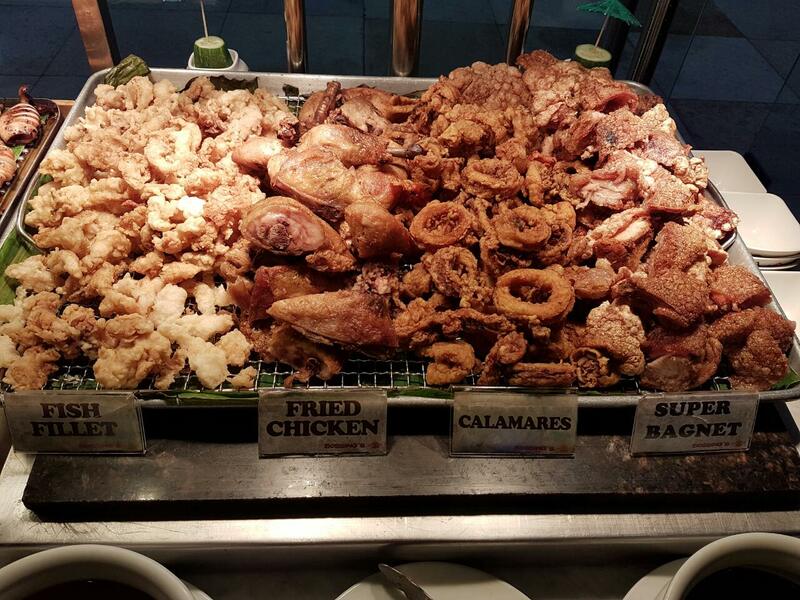 There is certainly one for every Juan in the buffet and it even gets cheaper when the restaurant is about to close. They have pastries and DIY halo halo. 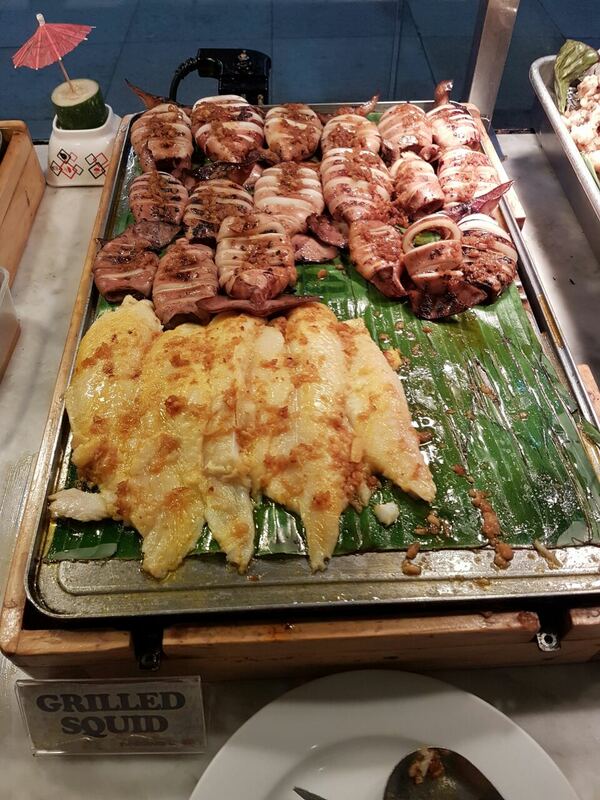 It is always a good thing to end your buffet the right way and that is a sweet ending.